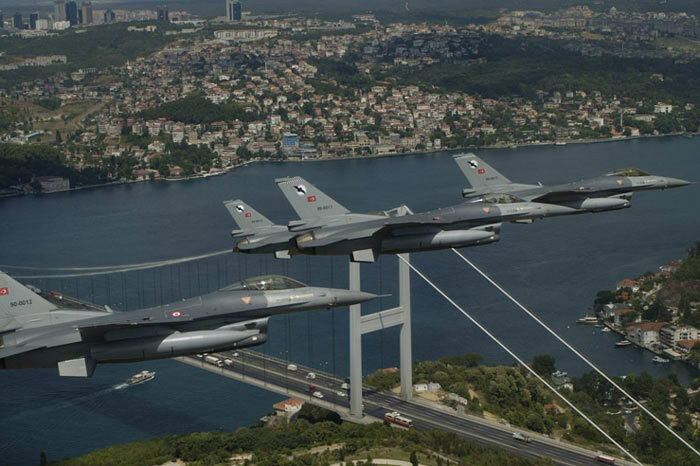 Thirty-three military personnel from the Turkish Air Forces including high-ranking officers were detained on Tuesday as part of an operation targeting the Gülen movement which is accused by the government of masterminding a coup attempt in July. According to media reports, four colonels, eight majors, four captains, five lieutenants, 10 noncommissioned officers and specialized sergeants, and two civilian servants were detained in simultaneous operations in Eskişehir, Ankara, İzmir and Kütahya provinces. Over 4,524 military personnel including 151 generals and admirals have been dismissed from their posts since the failed coup attempt. The Justice and Development Party (AKP) government, which launched a war against the Gülen movement following the eruption of a corruption scandal in late 2013 in which senior government members were implicated, carried its ongoing crackdown on the movement and its sympathizers to a new level after a failed coup attempt on July 15 which killed 240 people and injured a thousand others. Although the movement strongly denies having any role in the corruption probe and the coup attempt, the government accuses it of having masterminded both despite the lack of any tangible evidence.Turkish Islamic scholar Fethullah Gülen called for an international investigation into the coup attempt, but President Recep Tayyip Erdoğan — calling the coup attempt “a gift from God” — and the government initiated a widespread purge aimed at cleansing sympathizers of the movement from within state institutions, dehumanizing its popular figures and putting them in custody. More than 100,000 people have been purged from state bodies, nearly 70,000 detained and 32,000 arrested since the coup attempt. Arrestees include journalists, judges, prosecutors, police officers, military personnel, doctors, court personnel and even a comedian.